Our unique product catalog offers pH rolls, pH plastic strips and pH paper strips in envelopes. 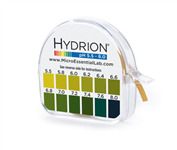 Commonly used by health professionals, the pHydrion products listed below accurately measure saliva and urine pH around neutral (pH 7.00). All information on this web site is for informational purposes only. Products on this site are not intended to diagnose, treat, cure, or prevent any disease or condition. Please contact a medical doctor to diagnose and treat any medical condition. 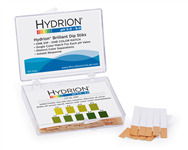 See other pH paper and pH strips products available in our online store.